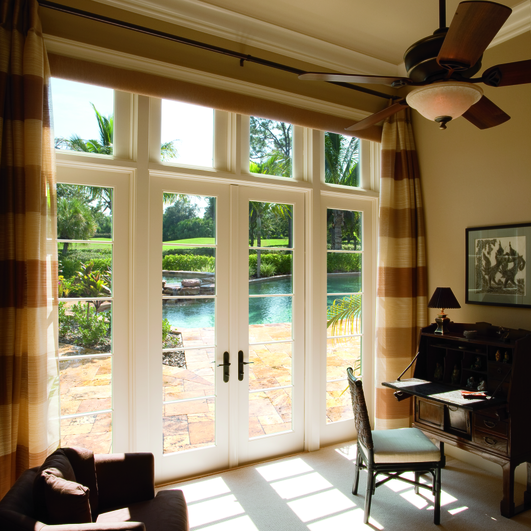 Choose from our select styles of hinged patio doors or sliding glass replacement patio doors. 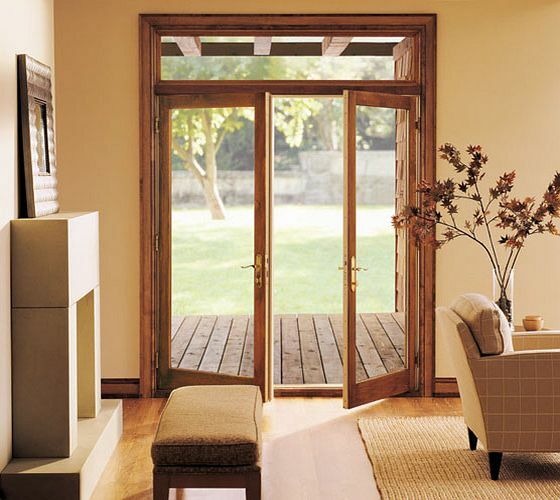 Replacement patio doors add beauty and function to your home, while letting you actually use your patio! Marvin Integrity replacement sliding glass patio doors offer the stainability of a wood interior door with the price and durability of an Ultrex frame. The durability of a fiberglass exterior and delightful real pine wood interior makes these doors low-maintenance and long-lasting. Made for large or small openings, they are perfect for an expansive home remodel or simple sliding glass patio door replacement. “French Style” rails are available here as well. Come compare Marvin Integrity’s French-Style sliding patio doors to the hinged patio doors at the HomeTowne showroom today! Marvin replacement patio doors are smooth to operate and energy efficient. They are sealed with ultra-durable ultrex material to withstand Milwaukee storms and extreme heat. The HomeTowne team of certified employee carpenters does custom staining, painting, and pre-finishing to ensure your replacement patio doors are colored to perfection. Marvin replacement patio doors have a quality build, and enhance every backyard aesthetic with single-door sliders or multi-panel sliding doors. Pella sliding glass patio doors come in a variety of sizes and materials perfect for adding flair to any residential remodeling project. The multi-panel sliding doors are a great option for opening up large spaces, especially in the warmer months. The Architect and Designer Series offer the look of a French Door with the room saving functionality of a sliding door. The Designer Series offers shades or blinds inside the glass for added convenience. You’ll love the variety of Pella sliding glass patio door options we have on display at the HomeTowne Windows & Doors showroom in New Berlin! Revere sliding patio doors have five interior color options. Unique to Revere, they also offer a sliding “French Style” panel to give the more formal look of a hinged door. 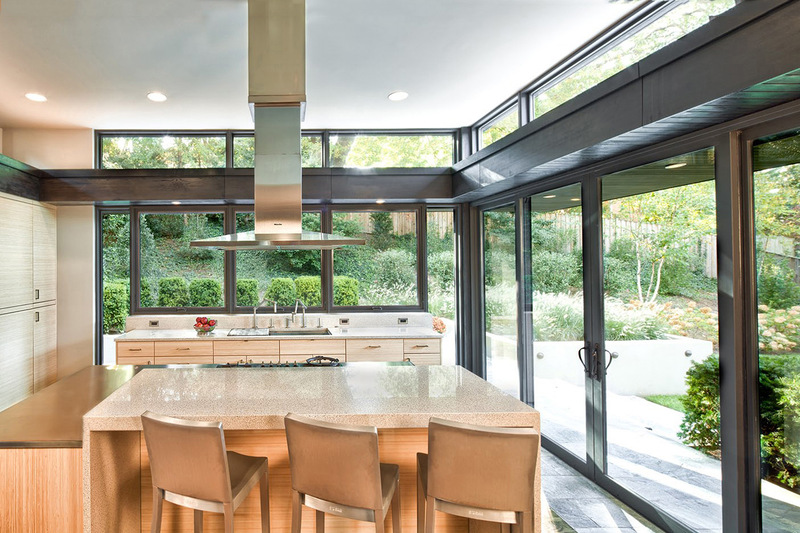 Our dedicated project consultants will help you find the right sliding glass door for your home and budget. To schedule an in-home consultation with one of our project consultants, call (414) 329-1200. Every Soft Lite sliding patio door is made with the utmost energy efficiency. The KingsRoyal series Soft Lite sliding patio doors are affordable and extreme-weather-tested for efficiency and durability. Soft Lite KingsRoyal offers four interior color options, foam filled frames, dual ball bearing rollers, and a multi-point lock. The slim sashes give you a better view of your yard. You’ll hardly notice the window itself, while still being protected from the elements. Made with a durable fiberglass exterior and a stunning real wood interior, Marvin Integrity Wood Ultrex hinged patio replacement doors offer a great option for protection, utility, and style. Welcome friends and family into your home with a beautifully designed french style door. 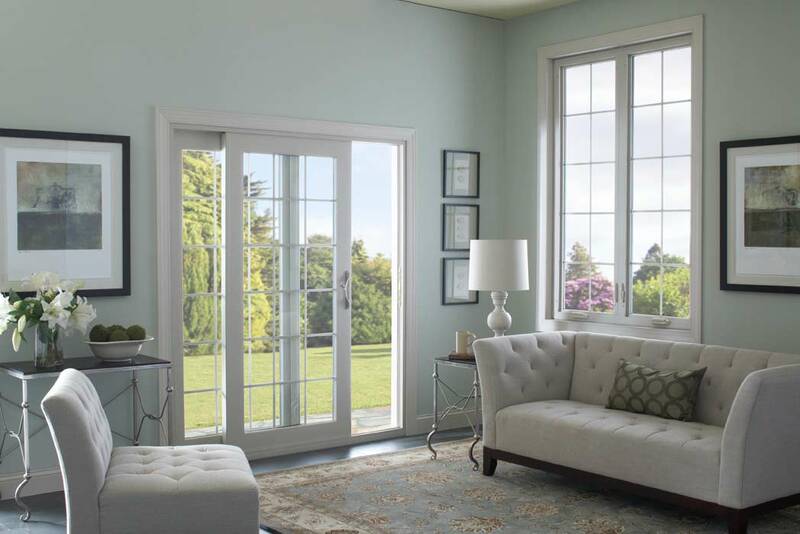 Choose from several custom color and size options for your hinged patio replacement door, produced by one of the most reliable brand name door manufacturers in the nation and installed by the factory-certified employee carpenters at HomeTowne Windows & Doors in Milwaukee. Why choose us? See the HomeTowne Difference. 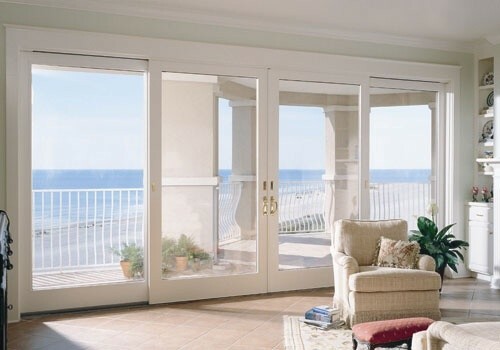 Marvin replacement hinged patio doors come in a variety of shapes, materials, builds, and styles. 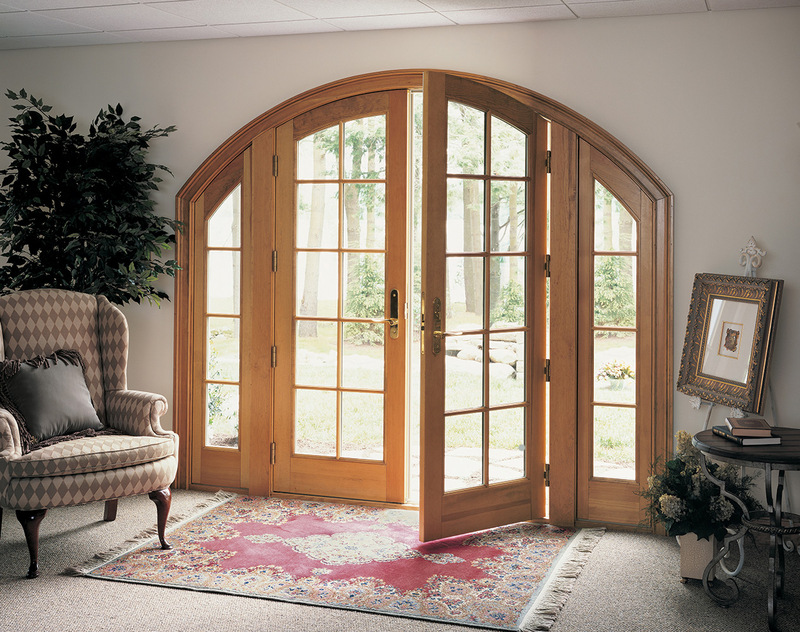 The elegance of this arched french patio door is one of many custom options you can choose from at HomeTowne. Your Marvin replacement hinged patio doors can have an inswing or outswing as well. With multiple divided lite, hardware and exterior color options, Marvin hinged doors can be stained to a furniture grade. To see more Marvin replacement hinged patio doors styles & options in Milwaukee, visit our showroom in New Berlin! 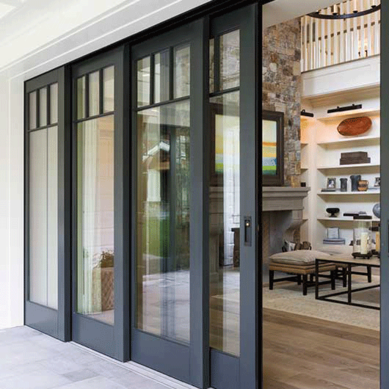 Pella’s wide-variety of aluminum clad, French-style hinged patio doors will look wonderful as interior or exterior doors overlooking your backyard. 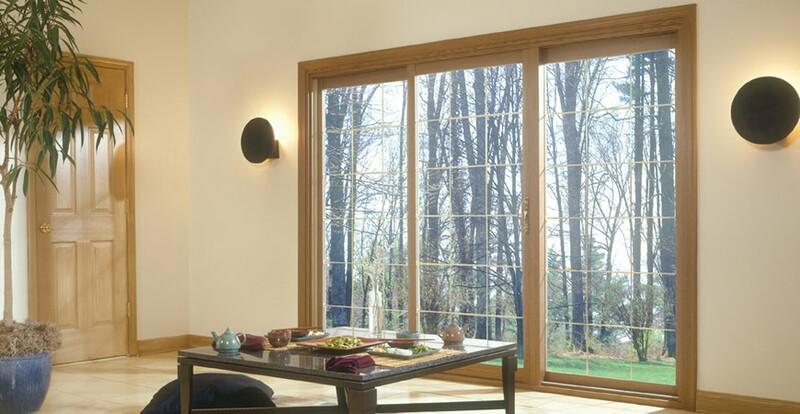 From the classic Pella Architect Series to the Designer Series’ between-the-glass blinds, Pella hinged patio doors pair sophisticated functionality with traditional aesthetics. The pine interior can be stained or painted to match your woodwork. The energy efficient glass paneling can come with a variety of stylistic grille patterns or beveled glass for privacy. Available with real wood frames, and several custom shapes and configurations, Pella hinged patio doors offer premium quality options for a stylish and functional home remodel. Not sure what you’re looking for? HomeTowne can help. Simply tell us a bit about your project, and we’ll contact you shortly to schedule your free consultation.